Best Apartment I Ever Sold invites our agents to share the unique story of their best selling experience to date. This week, learn why Karl Kozel’s sale at 175 West 93rd Street, 14H is his best one yet. It is hard to pick one sale that would be considered my favorite deal. I have a strong belief in “falling in love” with each apartment, and in looking past the objections to find their unique qualities. 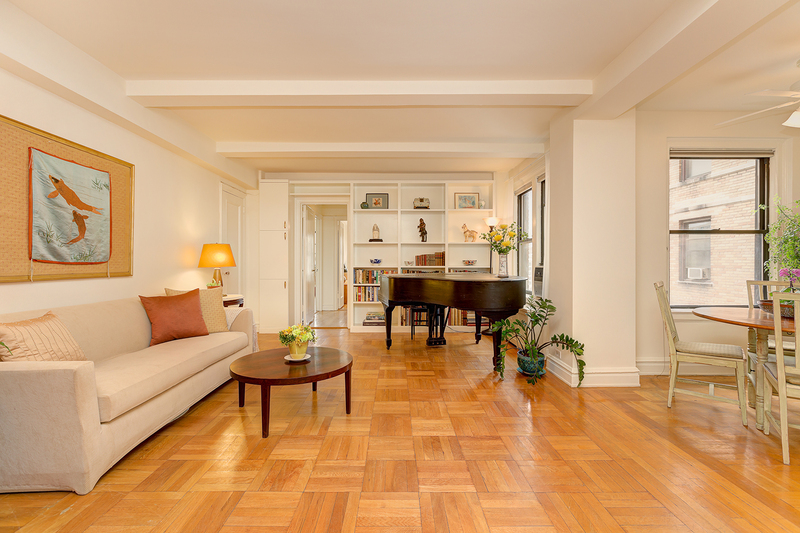 With that said, one of my favorite deals that I’ve done since joining CORE was the sale of a two-bedroom at 175 West 93rd Street on the Upper West Side. It was owned by a Harvard schooled psychiatrist who was, as I was soon to discover, a hoarder. When I arrived for the listing presentation, I entered into an apartment that was covered with aisles of boxes, many of whose contents were scattered about the floor. The apartment had charm and views looking over Central Park down to Midtown, but it needed painting, plastering and, clearly, major decluttering. The owner was both embarrassed by the apartment’s appearance and overwhelmed by her attempts to organize it all. In speaking with her, I found her intellect to be shrewd and her resolve indefatigable. She wanted to move to Brooklyn to be closer to her children and grandchildren. She knew that she needed to sell the apartment, but at the same time she was planning her daughter’s wedding and between selling her apartment and dealing with the wedding, she clearly needed help. In talking with her I also learned that she had survived a bad health scare, and was both physically and emotionally taxed. I suggested a solution and a game plan that she agreed to. I brought in a stager, painter and someone to decide what to keep of my clients personal items, and what to box up and get rid of. We settled on an asking price was $999,000. Three weeks later, the day of the photoshoot arrived. I arrived about 30 minutes early with fresh flowers. The apotheosis was stunning! What had been a tired apartment with clutter everywhere three weeks earlier was transformed into a beautiful and sleek apartment. Safe to say, the photographs came out very well! The response from the buyers at the very first open house was remarkable. We had 75 sign-ins, and we received 7 offers. To make it easier for my client, I put together a spread sheet of all the offers and we accepted an offer at $150,000 over ask. My client was ecstatic not only because of the price, but that the sale happened quicker than she had imagined it would. Making her happy and relieving her of her stress and anxiety made this sale a human story.